The interactive collar that reacts on my stress. The LED lights that pulses as my heart beats and the cold appearance of the collar show my relationship with stress. Laser cut MDF parts that closely follow the shape of my neck. 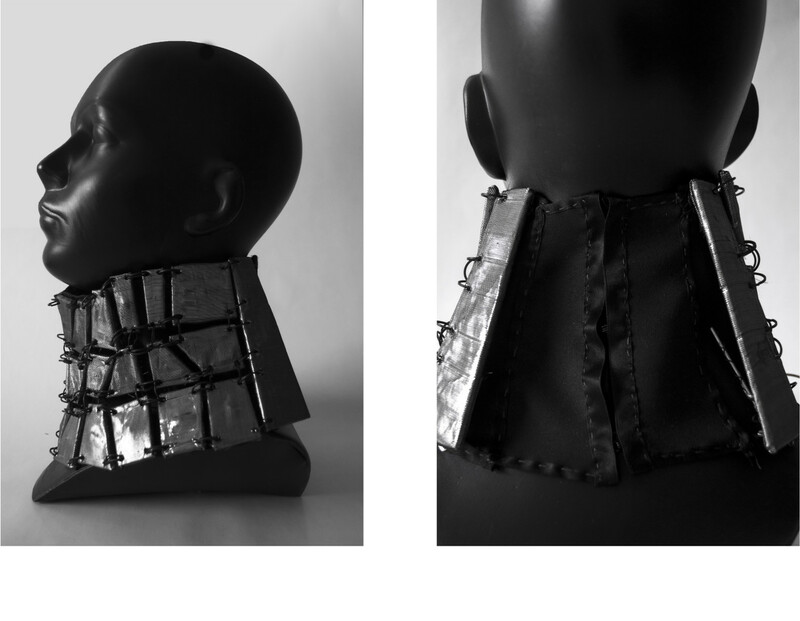 Hand sewed collar and metal rings to connect the MDF parts.